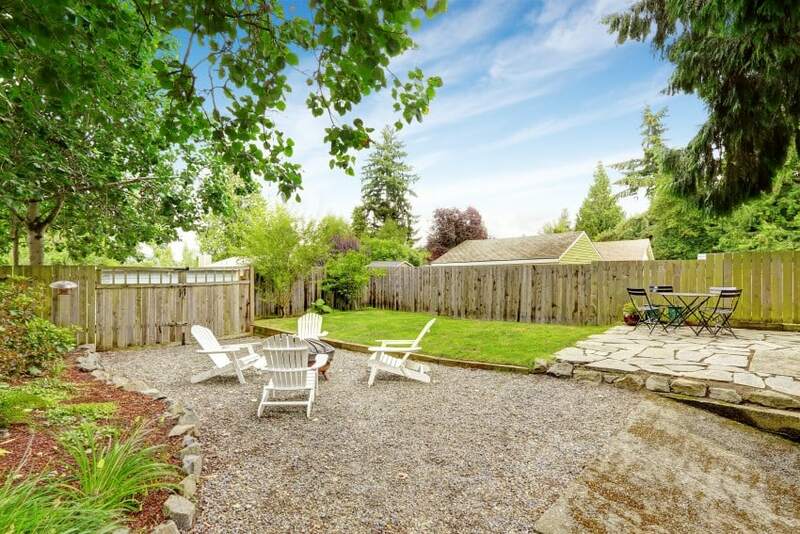 The backyard is your private little haven where you can connect to nature and enjoy the nice weather right outside your own home. 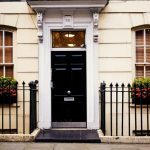 There are a number of options to consider when you choose to redesign and spruce it up a little. 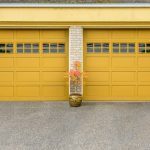 Of course, it is really important how big your backyard actually is, because you may just not be able to squeeze everything in. Setting up a sitting area is easy and generally does not require much room. 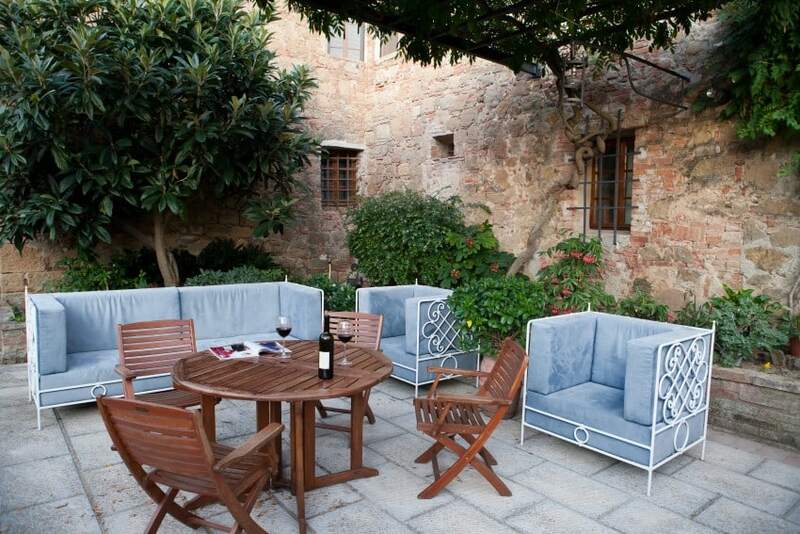 You can have some regular chairs with a table to wine and dine, or you can opt for a set of lounge chairs to chill and relax. 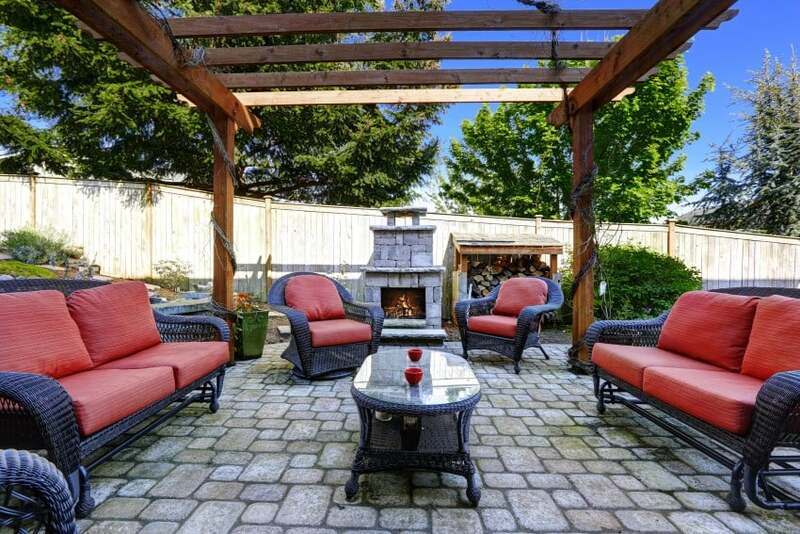 A popular choice would also be to have a fire pit area, complete with some stone benches around. It is pretty suitable for tight spaces and also quite enjoyable. If you love cooking, then you might as well add a barbecue or pizza oven and play the chef. You may want to have your sitting area complete with a shading structure of some kind. The simplest way is to go with a large umbrella. If that does not work for you, then you could get a garden tent that is also easily demountable. 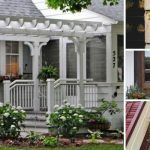 Or you could build a more permanent structure such as a wooden pergola or even a gazebo. If you have some extra space available after your sitting area is done, you may add a decorative feature, a water fountain, a play facility for the kids… Let your imagination run wild there. If you are lucky enough to have a really large backyard and some extra cash to spend, then you can even treat yourself to a private pool! That would be a cool place to spend those hot summer days. And just think about the pool parties that you can throw for your friends! 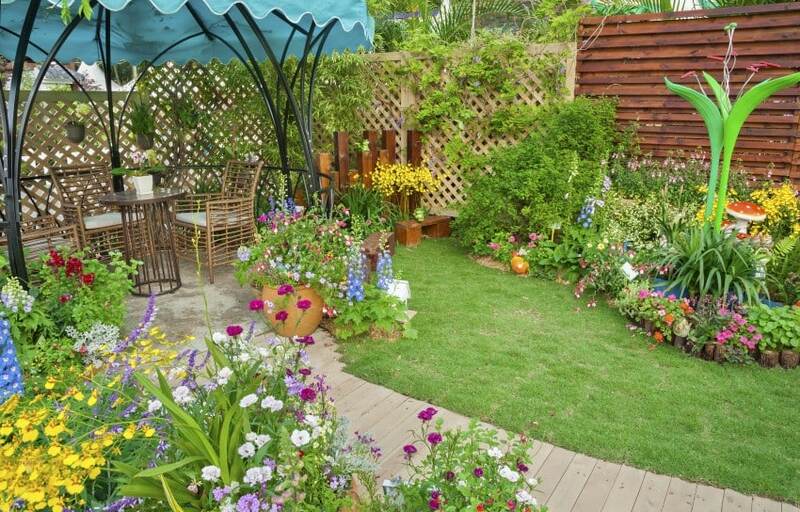 Now, take a look at our collection of backyard design ideas and get inspired! 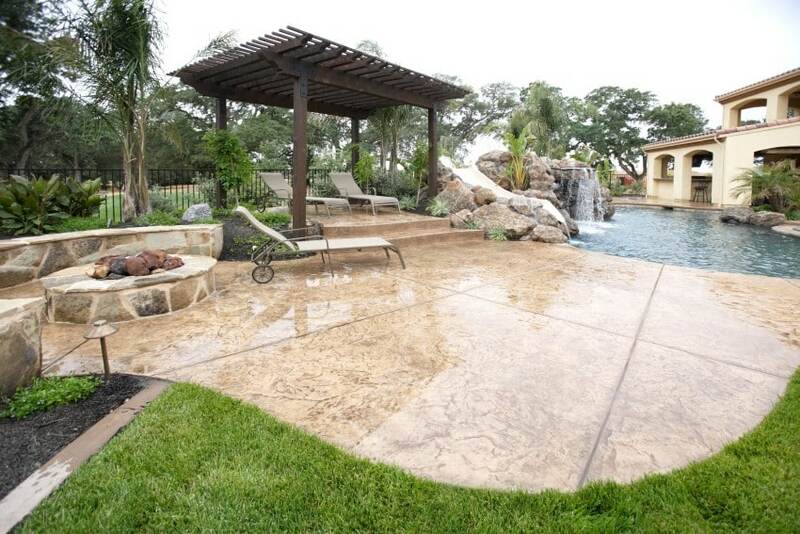 Adding a pool to your backyard is something that many of us dream about. In this image it is a dream come true, complete with a fancy pergola, some lounge chairs and even a waterslide. 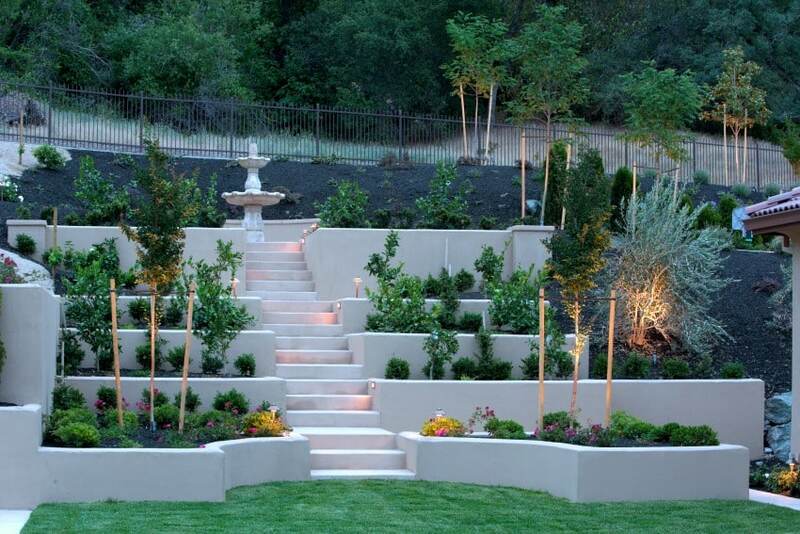 This backyard design has a terraced feature with white steps leading up to a water fountain. Green plants and a few accent lights truly help spruce up this place and bring it to life. Quite enjoyable, isn’t it? Can you think of a better way to spend your evening than hang around your backyard fire pit with your family or friends? This outdoor recreation area is nice and cozy, and has a beautiful view of the nearby surroundings. 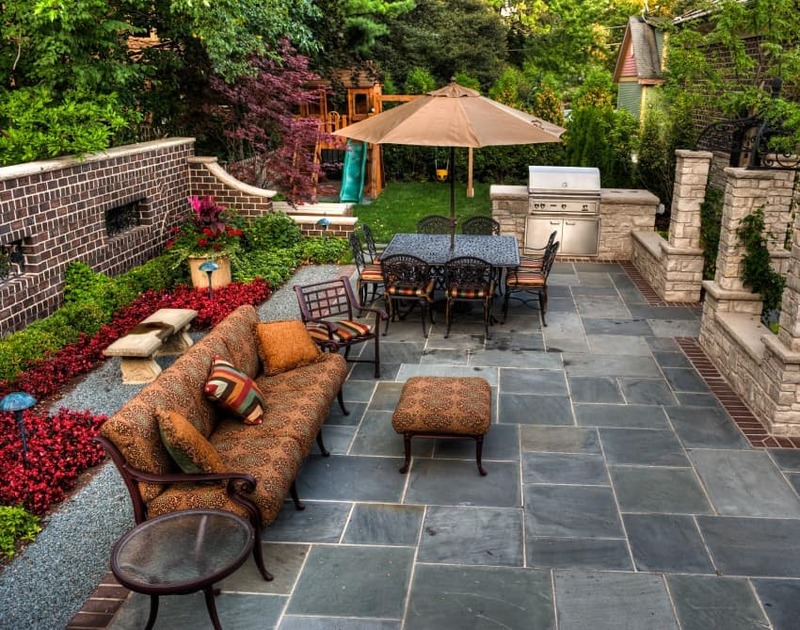 If you are lucky to have a patio that is big enough, you can go wild and add various areas to it. For example, right here we have a lounge area with soft seating, a dining area with a table and chairs, a cooking corner with a barbecue, and even a play area for the kids. 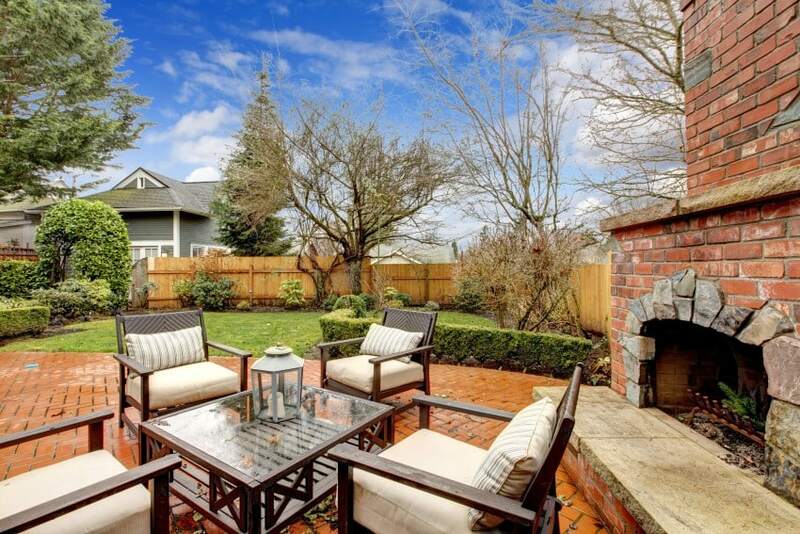 Adding a fire pit to your backyard has always been a pretty popular design idea. 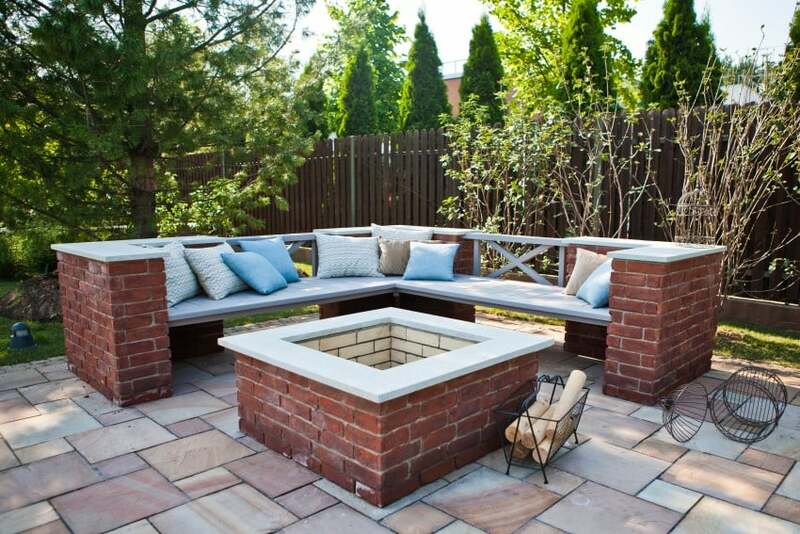 Of course, a fire pit area is not complete without some seating options around it – stone benches for example. Throw in a couple of lounge chairs to make it even more comfortable and cozy. 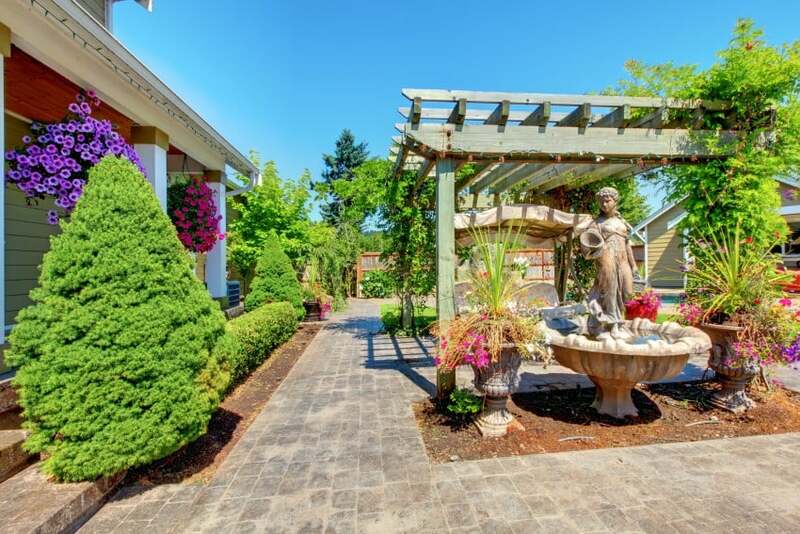 This backyard accommodates a wood pergola, a decorative water feature with a marble statue fountain, and lots and lots of plants that add plenty of color (green, purple and magenta) to a beautiful design. Having a wood dining set for your garden is great but what’s even better is adding some soft seating to it, as well. That is a well-tested recipe for laid back weekend afternoons. 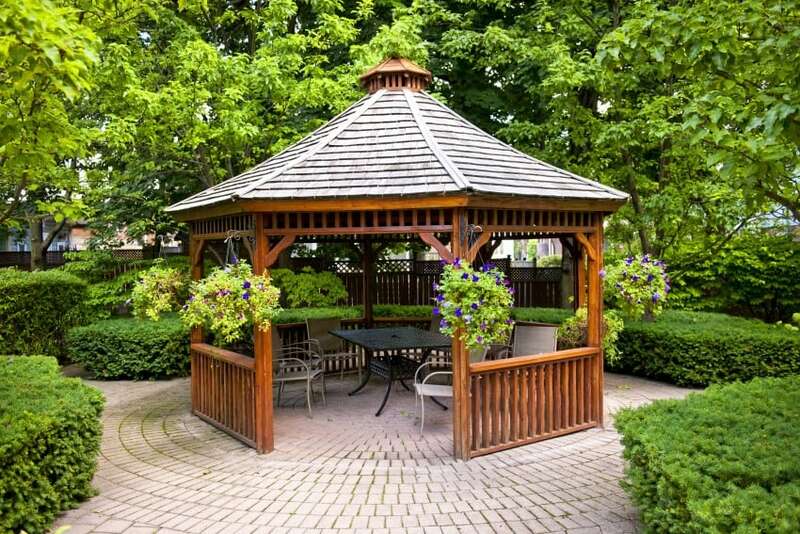 A wood gazebo makes a nice addition to your backyard and a great focal point, as well. Add a few potted plants to add color and vibrance to your design and you are all set! 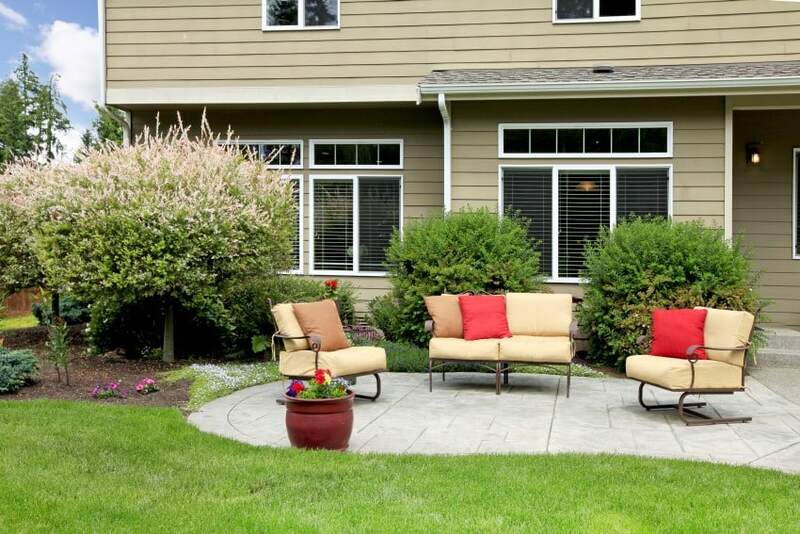 If you wish to keep it simple, then you can opt for a tiny paved patio and choose whatever furniture you may desire. Some lounge seating is always a good choice as it is so soft and comfortable. If you enjoy both spending time outdoors and cooking, why not take your kitchen outside? Building an outdoor pizza or barbecue oven may just be the solution to your problems and it is not at all that difficult to build. Some of us want to keep as close to nature as possible at all times. This design option is just right for them – a seating set cover in green grass. Maybe just don’t wear white pants! Here is a simple backyard design proposal that features a paved patio, a wooden pergola, a tiny outdoor fireplace and some lounge seating. It is pretty basic, easy to build and inexpensive. What more is there to need? You wouldn’t need to build pergolas or other complicated structures to keep you shaded from the sun if you happen to have a large and beautiful tree right there in your backyard. Just throw in some seating options and you are done! 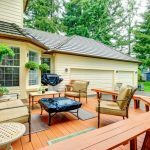 If you are on a tight budget you can opt for a low cost backyard remodel and have a gravel patio where you can put your set of garden furniture – table and chairs. Here is an attached pergola design that features a textile roof. 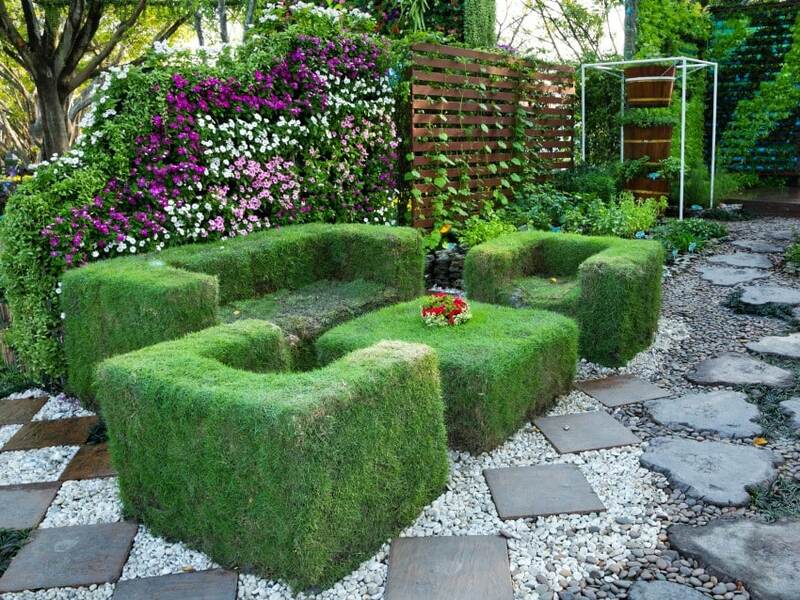 It is a neat solution for your backyard that can be completed with a garden barbecue and a nice set of chairs. 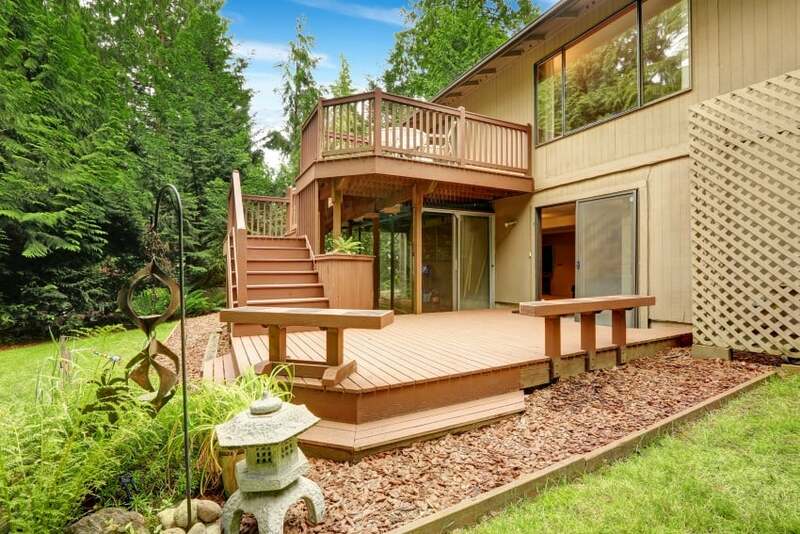 An outdoor wooden deck is sure to make a great addition to your home. 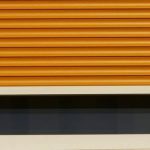 It is cost effective, easy to maintain and inspires a certain sense of comfort and warmth. Don’t forget to add some appropriate outdoor furniture to it! 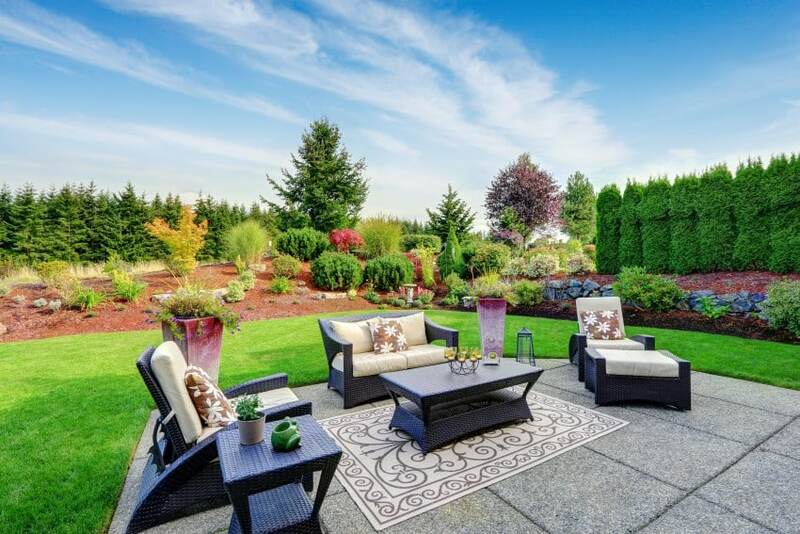 Wicker chairs are a popular choice in backyard design. Wicker lounge chairs with padded cushions are even better and for that matter – more comfortable. Add a couple of matching tables and your set is complete. 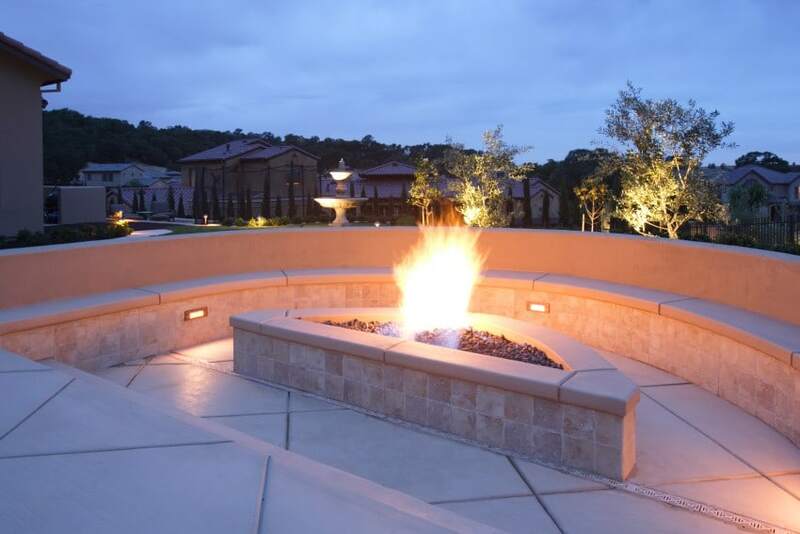 Fire pits are typically round in shape but that does not mean that they can’t be square, either. 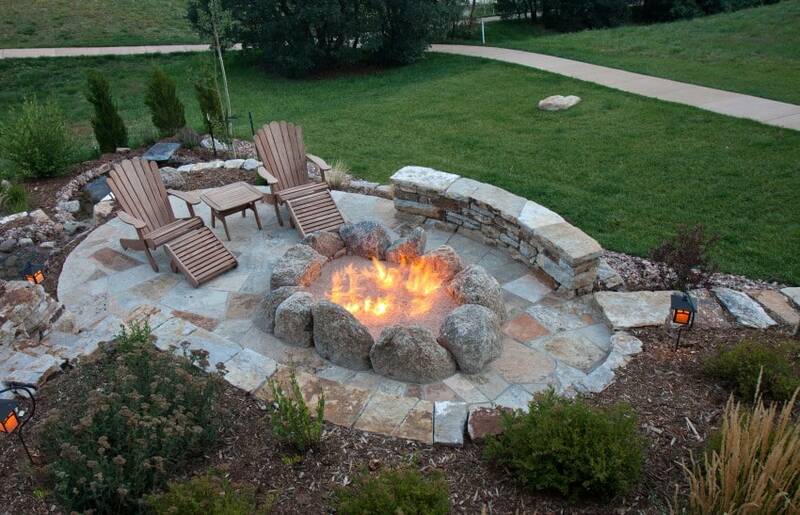 Take a look at this fire pit corner and see for yourself. It is built of red bricks and features a sitting bench that is nicely decorated with some colored cushions. A garden tent is a nice alternative to a wood patio. It can easily be taken apart and stored away for the winter when it is too cold to be outside anyway. And, when the weather is warm again, it will keep you shaded and cool. 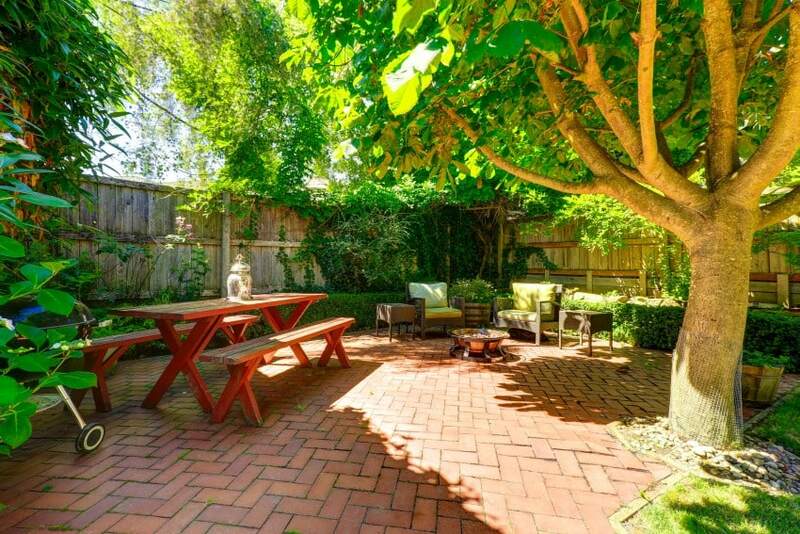 Here is a backyard area that is nice and secluded. It features a garden tent with a metal structure and textile cover, and a set of wicker chairs with a table. It is surrounded by greenery and blooming plants that inspire a sense of peace and romance. 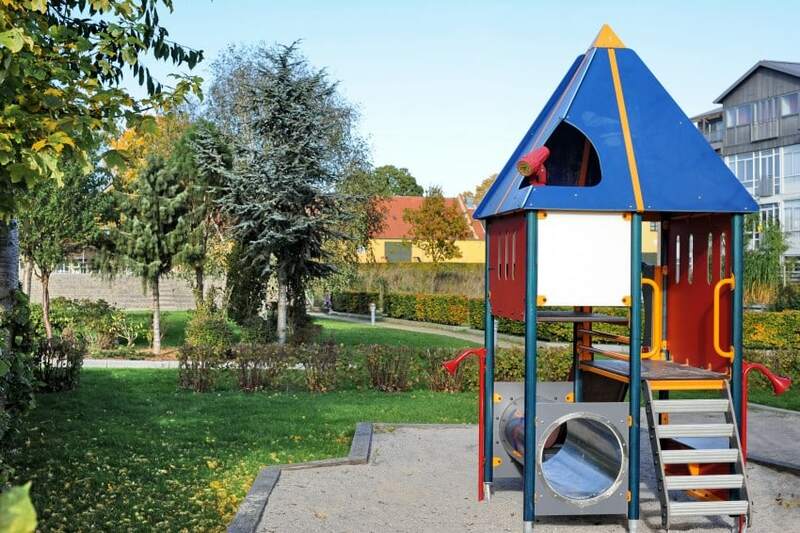 Many of us want a garden where the kids can run and play. 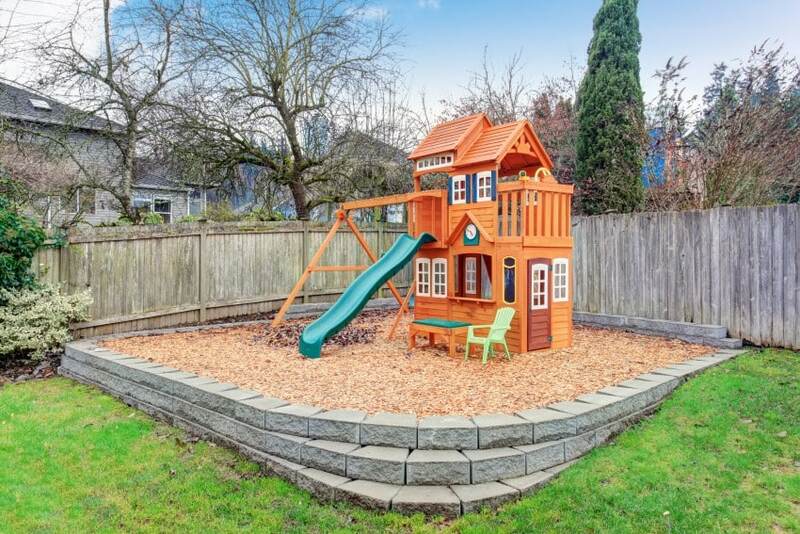 This backyard corner is designed specifically for children – it features an outdoor house structure for climbing, sliding and endless hours of fun. 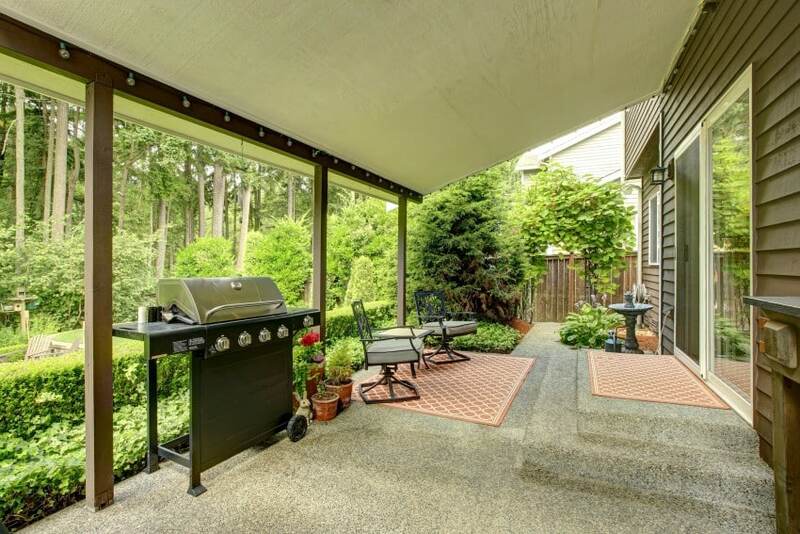 This backyard patio is directly connected to the house that it is attached to through a set of folding glass doors. 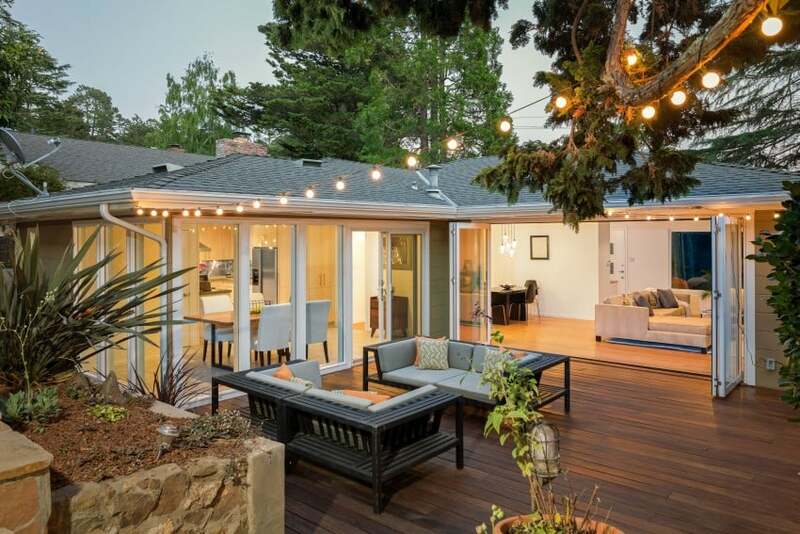 It features a nice outdoor conversation area furnished with a pair of couches and illuminated by a set of string lights. 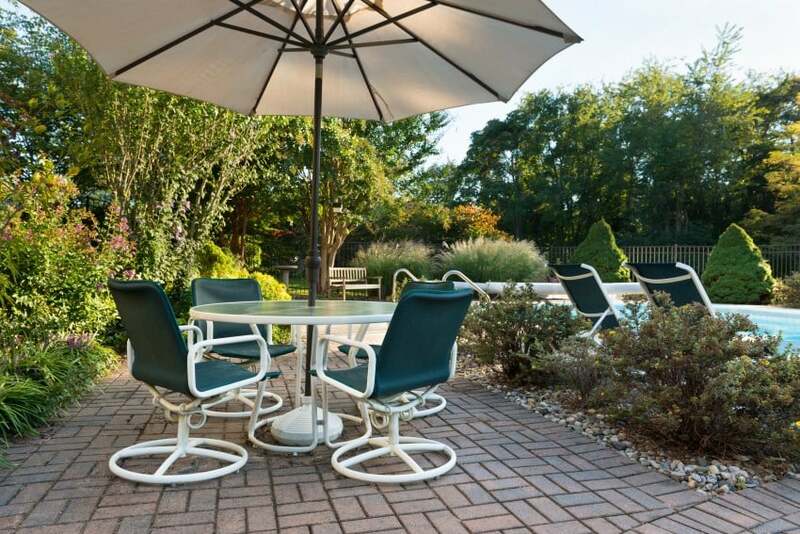 Here is a backyard design that features a cool pool with a set of table and chairs to the side. A large umbrella is also provided to keep you shaded on a hot summer day. Here is another backyard idea that features a colorful play facility for the kids. There they can crawl, climb and have lots and lots of fun while you leisurely enjoy the nice weather out. 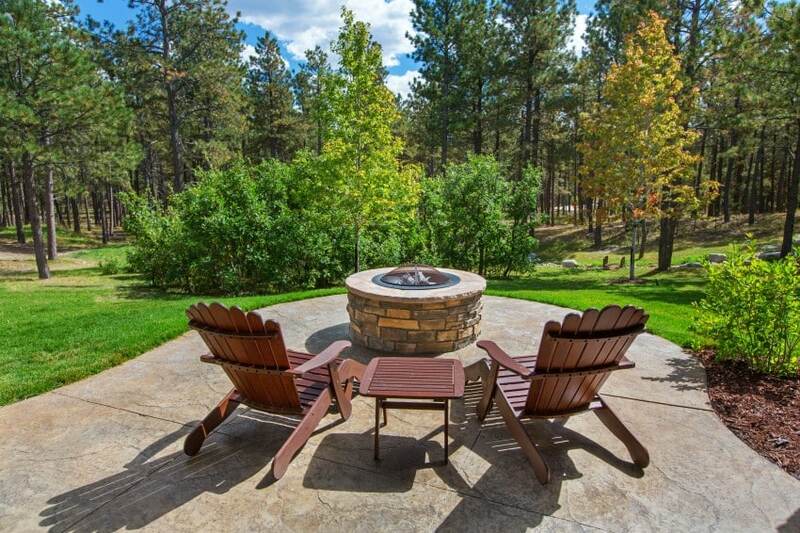 This fire pit area has a pair of wood lounge chairs and a nice view at a beautiful environment. Can you imagine having a whole forest right there in your backyard?